School is situated in the magical Himalayan Valley at the bank of river Ganga in a peaceful and inner awakening space. The food we provide at the center is 100% vegetarian. 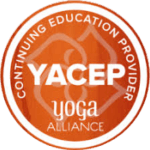 Our School is an RYS 200 and RYS 500 affiliated with Yoga Alliance USA. We offer several Yoga TTCs including world renounced 200hrs, 300hrs, and 500hrs Yoga TTC courses. Yoga TTC, Yoga Retreats & Yoga Course at Yoga Vidya Mandiram are held by experienced reputed yoga meditation guides and Certified Yoga Trainers at Yoga Alliance, USA. Yoga Vidya Mandiram school is an educational Institution who organizes free medical camps and yoga camps. We promote the Self-Discipline as taught by the great yogis of the Himalayas. Sage Patanjali clearly states that yoga is “The Art of Self-discipline” — (Yoga Sutras I.1). YVM imparts the yogic learning from the Himalayan yogis and the lineage of Sage Kapila, Hiranya-garbha, Patanjali, Swami Rama and his disciple Swami Veda Bharatiji. At our school Yoga Vidya Mandiram we offer Yoga Alliance, USA certified best multi style 200/300/500 hour Hatha & Vinyasa flow Yoga Teacher Training Courses maintaining to their spiritual core. There are offered several yoga and meditation courses which are most suitable for the yoga students of all levels; beginner, intermediate and advance. The school offers Yoga TTC Courses which are held under the guidance of experienced, reputed and excellent yoga and meditation guides and the team of accomplished yoga teachers who hold the Yoga Alliance credentials of ERYT 200, and ERYT 500 (experienced registered yoga trainers). Yoga Vidya Mandriam yoga school we offer all 1st primary series, 2nd intermediate series, and 3rd advance levels of Ashtanga-Yoga (yoga postures) in Rishikesh, India. Yoga Vidya Mandiram yoga school offers Hatha-Yoga Style of yoga postures at all 1st primary series, 2nd intermediate series, and 3rd advance levels in Rishikesh, India. Yoga Vidya Mandiram yoga school offers yogic sleep and other relaxation practices at all 1st basic series, 2nd intermediate series, and 3rd advance levels in Rishikesh, India. Yoga Vidya Mandiram yoga school offers Kundalini-Yoga practices and their related practices, such as chakras, nadis, pranas and vayus, koshas in Rishikesh, India.